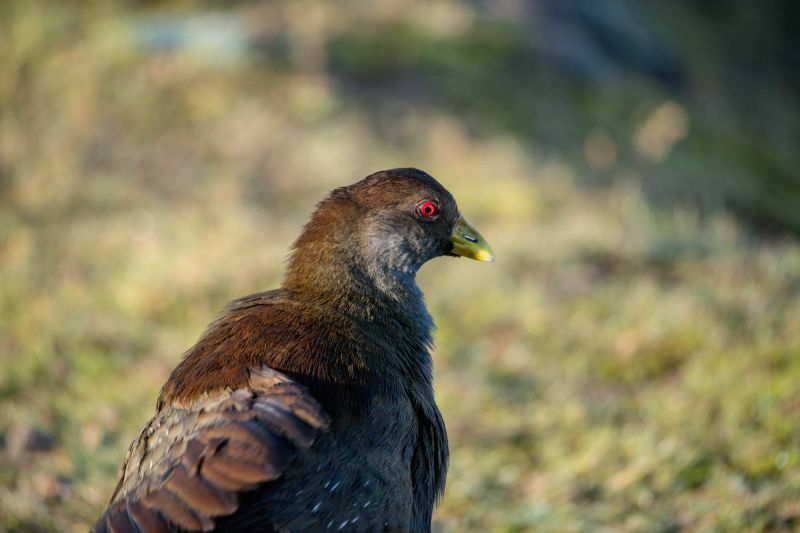 One of the most interesting birds to observe on Australia’s beautiful isle state, is the Tasmanian Native Hen (Tribonyx mortierii). This endemic species was made extinct by dingoes and increasing aridity on mainland Australia 4700 years ago. 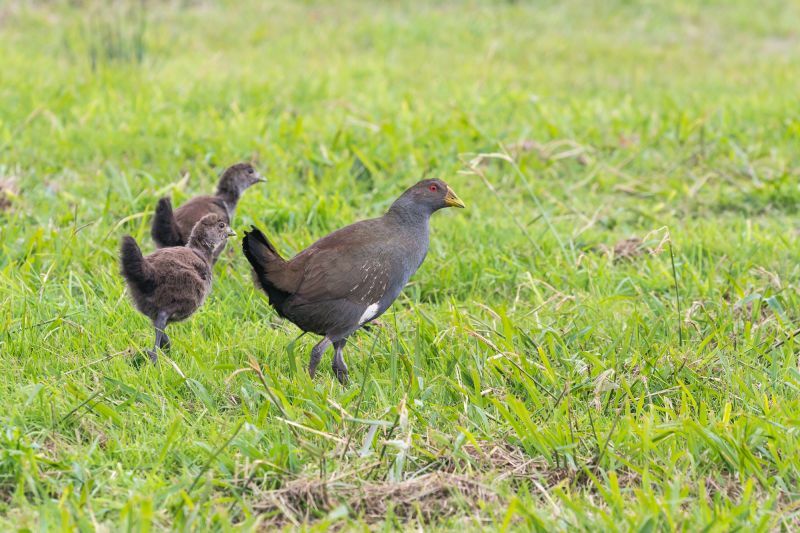 The species has several similarities to the Black-tailed Native Hen found on the mainland, but is noticeably larger in size. Affectionately referred to as ‘turbo chooks’ by Taswegians, these birds can run up to an amazing speed of 50km per hour and when threatened flick their tail to warn others. The bird is characterised by its piercing red eyes, large yellow bill, grey underside and powerful legs. This is a very social species, known for their very intriguing breeding habits. Females are often known to breed with harem of males (polyandrous), a relatively scarce practice within the animal kingdom, however, the species can also be monogamous. They can often be found in breeding groups of 2-3 adults with nesting typically occurring between August and November each year (6 eggs laid on average), with both sexes involved with rearing chicks. The best chance to see this species is across Tasmania’s northern and eastern regions, with the species commonly spotted in open areas and grasslands adjacent to fresh water including rivers and swamps. The word Triabunna where The Maria Island Walk boat trip commences is derived from a local Aboriginal word meaning ‘native hen’. They are also found abundantly across the island, with their rasping “see-saw” call and social antics a real favourite amongst visitors. How can I see this species with an expert guide?